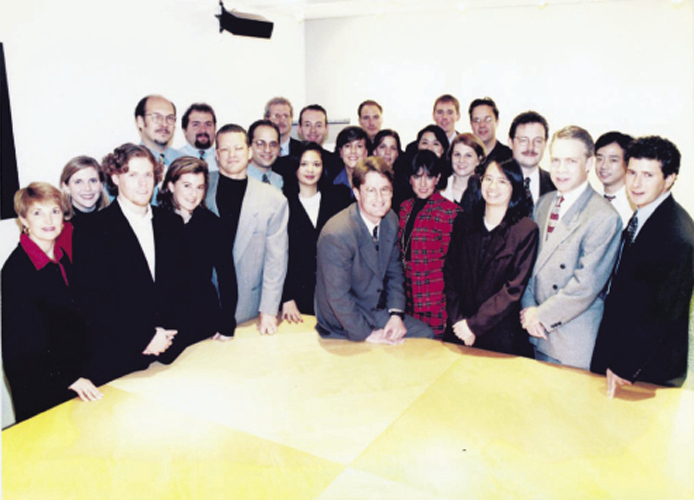 Pictured here with the original DoubleClick team in 1997, Millard was one of the Internet ad pioneer’s first hires and helped grow the staff to more than 600. 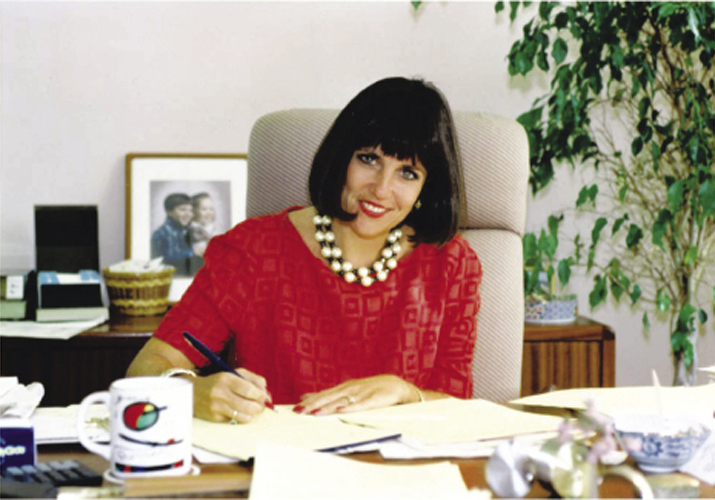 Serving as senior vice president and publisher of Family Circle magazine was a highlight of Millard’s 21-year career in traditional publishing and advertising before she forayed into the digital realm. 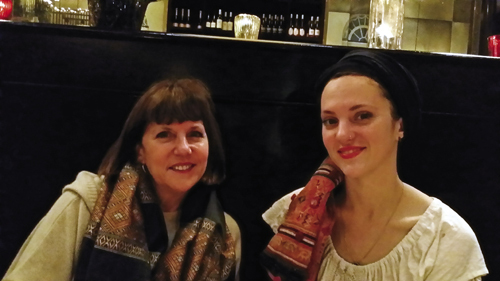 Millard and Leigh sport ibu scarves—from the Charleston-based clothing line where Leigh works and Mom shops—at favorite haunt, The Ordinary. Millard brought a more flexible, responsive, and aggressive sales strategy to her role as chief sales officer for the big Internet portal. Under her watch, revenue exploded from $700 million to more than $6 billion. It’s a brisk Saturday afternoon in Charleston, a perfect day for curling up with tea and a book or binging on House of Cards, but Wenda Harris Millard has bigger plans. She’s barely been in town for 12 hours, but has already hosted a dinner at FIG and sat for a morning photo shoot, and in a short while she’ll be off to meet a young College of Charleston entrepreneur who’s seeking her advice. More leisurely pursuits like tennis (singles, her preference) will have to wait. Idle time is rare in Millard’s Tradd Street residence, though when she bought it nine years ago, the one-time English major imagined she’d spend long, quiet weekends in her second home blissfully reading books and doing nothing else. That hasn’t happened, or not often anyway. Instead, Millard does here what she does everywhere, and does best—meets people, connects people. Myers Briggs doesn’t quite do her justice. “I’m on the far, far side of extrovert,” she says, her quick smile the equivalent of a wink. Wenda Millard seems in continual motion, but not in a harried way, not like most of us over-caffeinated multitaskers who confuse “busy” with “productive.” When she speaks with you, she’s fully tuned in, her clear jade eyes engaged and focused, sparkling below well-behaved dark bangs. Millard moves with intention and purpose. She’s more like a five-foot, two-inch planet in steady orbit, or perhaps a comet blazing an interstellar path in the vast universe of digital media and advertising. Don’t even bother looking up Millard on LinkedIn; her network is too vast for it. If she did have a profile, it’d be so chunky you might think it was inflated. But there’s no fluff here, just a determined forward motion, a full-steam-ahead path of hard work and risk-taking that has resulted in an impressive resume: co-CEO and president of media for Martha Stewart Living Omnimedia; chief sales officer at Yahoo!, where she increased revenue from $700 million to more than $6 billion in six years; chief internet officer at Ziff Davis Media and president of Ziff Davis Internet; executive VP at DoubleClick (we’ll come back to that); senior vice president and publisher of Family Circle and executive vice president/group publisher of Adweek, Mediaweek, and Brandweek magazines, among other positions. 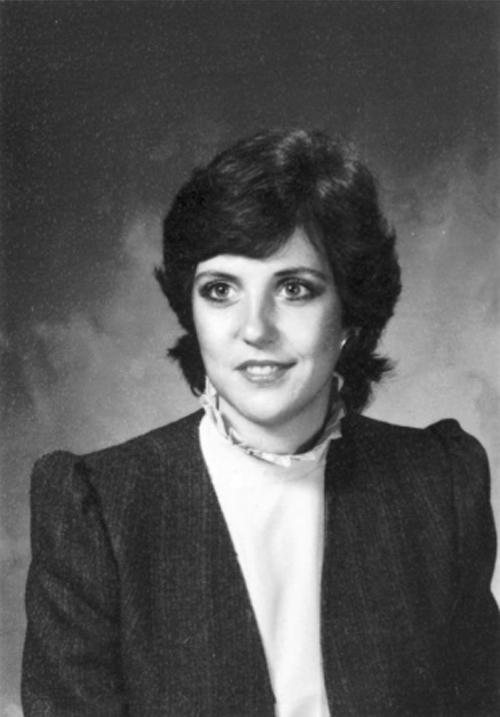 And long before that, before studying Shakespeare at Trinity College, before earning her Harvard MBA, before headlining international conferences and becoming the media darling at glitzy ad industry events, Millard was the publisher, editor, writer, and chief scooper for the Archer Lane Scoop, produced, hand-copied, and distributed weekly by a plucky nine-year-old in Lynnfield, Massachusetts. 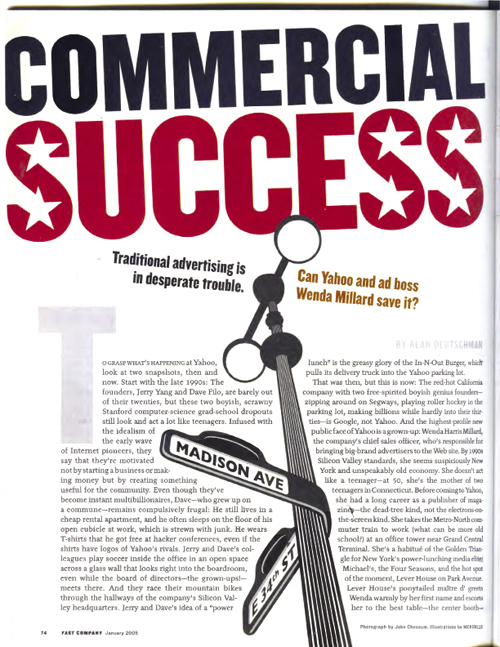 “Wenda’s reputation is known coast-to-coast in the world of advertising, particularly digital advertising,” says Cathie Black, the former chairman of Hearst Magazines; former president and publisher of USA Today; and the nation’s first woman publisher of a weekly consumer magazine, New York, where she first met Millard in the 1970s, when Millard was a young copywriter in the magazine’s promotions department. “I remember hearing that Wenda wrote anagrams as a lark for the back of People magazine. 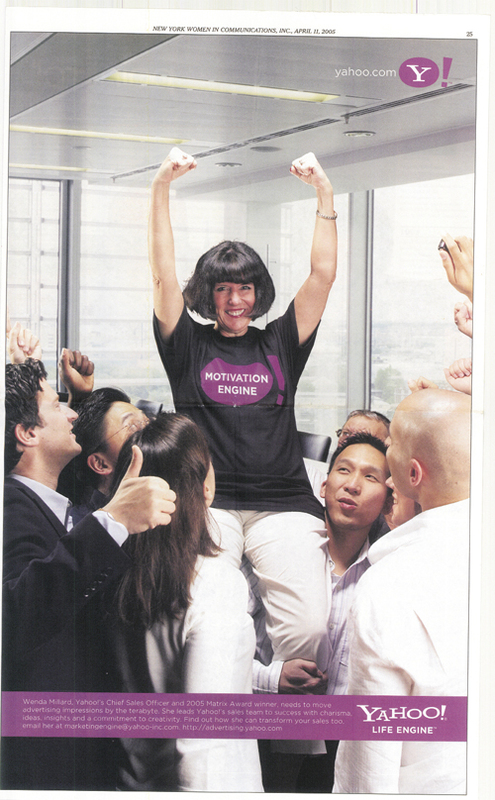 I was looking for new energy in the ad department and recognized that she was witty, smart, and had a great talent for persuasion,” says Black, who quickly learned, after offering Millard an advertising job, that she had gumption and guts as well. “When I asked her how much she’d like to earn in this role, Wenda blurted out, ‘$100,000.’ I was flabbergasted,” recalls Black, who was also clearly charmed, and not earning near that much herself. 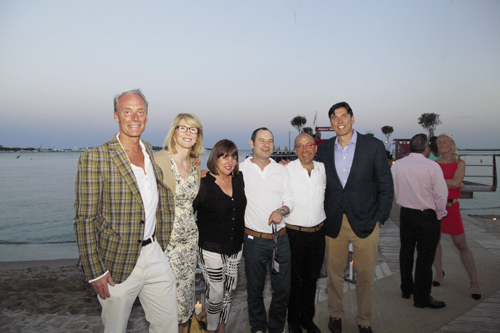 AOL’s Tim Armstrong considers her contributions to the media and advertising world monumental, so to speak. At the recent unveiling of the Wenda Harris Millard video segment for the Makers: The Women Who Made America series, a digital storytelling platform that profiles trailblazers ranging from Hillary Clinton to Mia Hamm to Gloria Steinem, Armstrong dubbed Millard the “Mount Rushmore of Advertising.” But she never set out to become a Mount Anything or a media mogul; Millard just followed her interests and intuition, first as a freelance writer and copywriter, and then, when her gregarious self realized that writing was “pretty solitary and all the noise and fun was coming from folks on the ad side,” she made the jump. 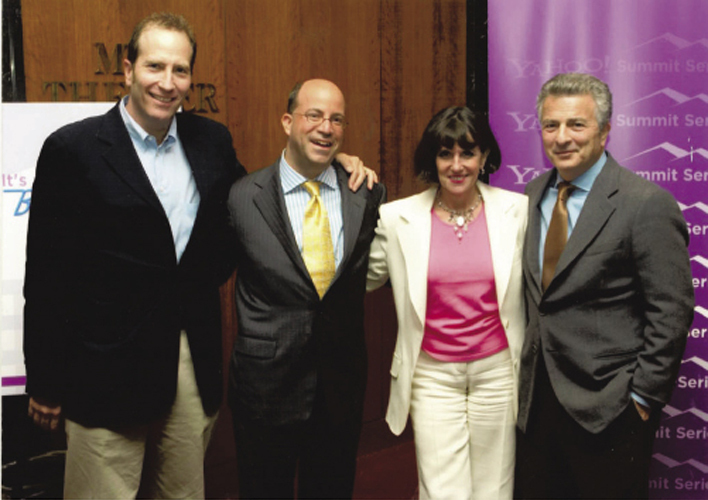 But her true career-defining moment came in 1996, when Millard left a primo position in the print media world to help establish DoubleClick, a digital ad pioneer back in the dark ages of dial-up modems, back when the Web (still called the “World Wide Web”) was Googleless and comprised only a few sites worth visiting (which wasn’t all bad, since you paid for access by the hour). Fast forward to today, and Millard’s current role as president and COO of MediaLink, a strategic advisory and business development firm for media, advertising, technology, and entertainment industries, takes this sense of convergence to a new level. “MediaLink operates at the intersection where Hollywood, Silicon Valley, Madison Avenue, and Wall Street all come together. Convergence is really happening,” she explains. The expanding company, which Millard leads with MediaLink’s equally über-connected CEO, Michael Kassan, specializes in helping companies, including Unilever, AT&T, GE, and a number of traditional publishers, thrive in a digital environment. They also work with digital companies, such as Facebook, Twitter, and Google, on accelerating growth. Tim Armstrong has called them “the human routers,” responsible for channeling more industry information than anyone else through their extensive networks. Yet despite embracing technology, Millard downplays the impact of Big Data and remains decidedly old-school in one regard: “People who know how to build relationships will always win over people who think the whole world will turn into one giant algorithm,” she once told an industry reporter. From her home base and company headquarters in New York, Millard works these relationships, traveling regularly to confer with clients and speak at events. 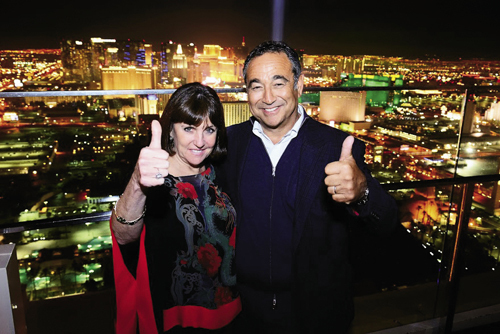 She’s the see-and-be-seen-with social magnet at the annual Cannes Lions International Festival of Creativity in France and a sought-after sound-biter at the annual International Consumer Electronics Show (CES) in Las Vegas. And when not making the business rounds, she retreats to Tradd Street, where books are dog-eared and the tennis racquet beckons, and building relationships is, as always, paramount. Charleston is where another side of Millard feels at home. For as much as she’s an industry forecaster and risk-taker, she’s also drawn to the old, the settled. Perhaps it was being the daughter and sister of architects, or her Boston-area upbringing, growing up near a historic port city with cobblestones, salty breezes, and stately old homes, that made Millard fall fast and hard for Charleston when she first visited 10 years ago. 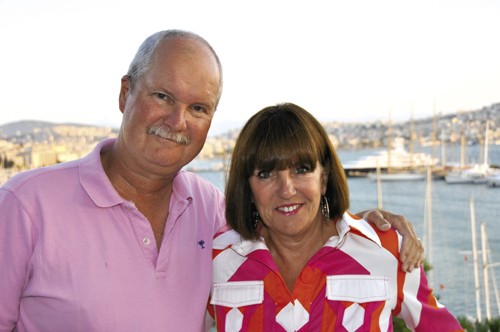 Whatever it was, “Within three hours of arriving, I decided to buy a house here,” she says, “even though I’d never, ever, been interested in having a second house.” Neither had Jay, her husband of 31 years and an Emmy-winning independent television production professional, but he was similarly smitten and supported the idea. 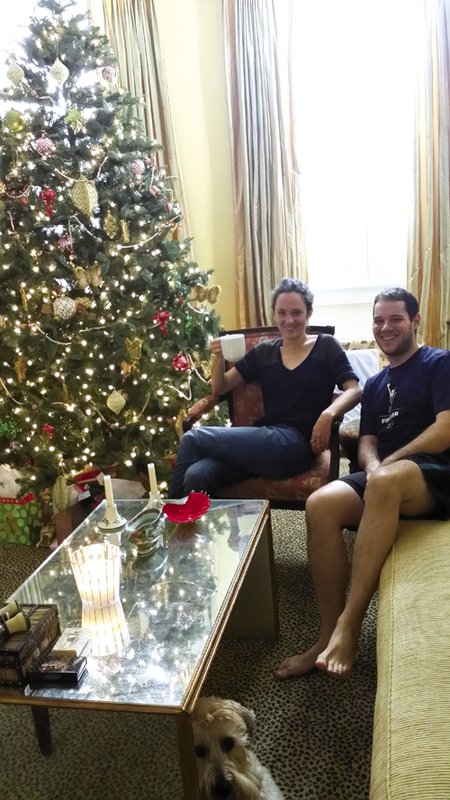 So for the last nine years, she and Jay have spent long weekends and holidays in the Lowcountry, where their daughter Leigh, 25, lives, working as an artist and operations manager for the clothing store ibu. Their older son, Ben, works in mobile marketing in New York. 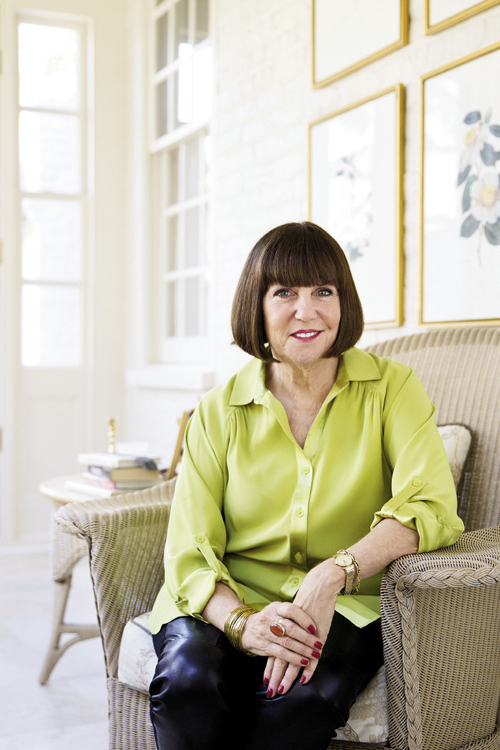 They love cooking and hosting dinner parties, and for Wenda, a consummate foodie and trustee of the James Beard Foundation, trying new Charleston restaurants is always high on the agenda, though, she admits, she’s partial to FIG and The Ordinary. “I’m the biggest Mike Lata fan you could meet,” says Millard, who has hosted New York culinary king Danny Meyer (Gramercy Tavern, Shake Shack) in Charleston and is a supporter of the Wine + Food Festival. 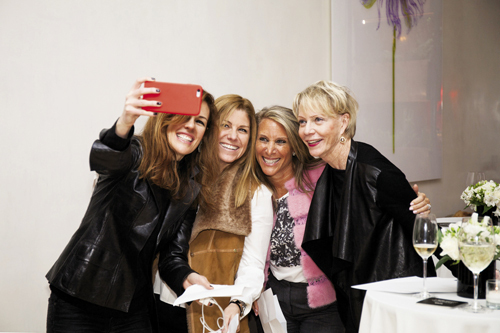 Millard’s gracious hospitality has made her annual “FFF Weekend” (referencing the Fun, Fabulous, Fearless Females who attend—“it really should be FFFF,” she laughs), which she cohosts with local friend Suzanne Pollak, a coveted invitation. 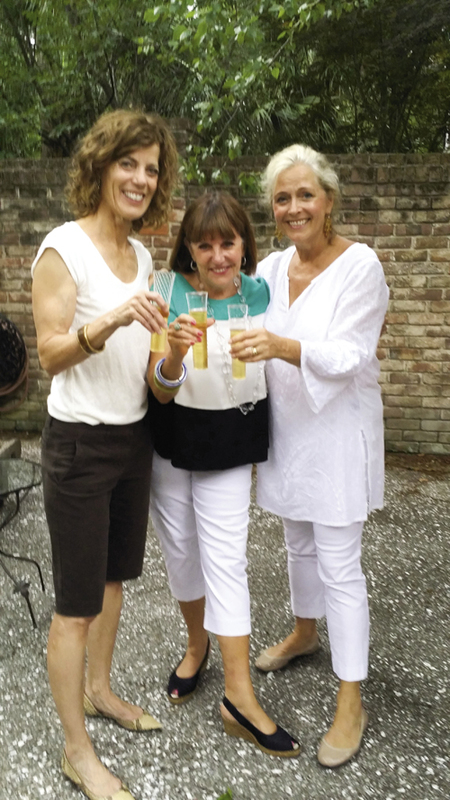 The FFF(F) gatherings are really celebrations of women, accomplished professionals of varying ages and endeavors who don’t necessarily know one another, but come together to talk, shop, eat, explore, share personal reflections, and relax in Millard’s garden. 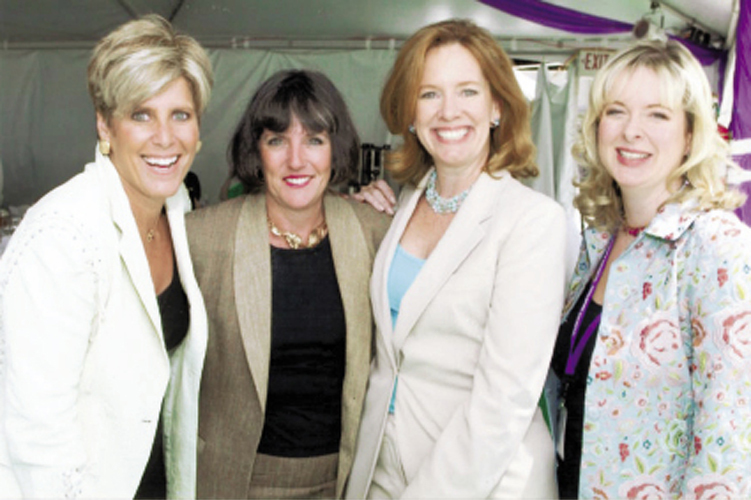 “It’s so rare for high-powered professional women to have that kind of time together,” says Millard, who also weaves her Charleston pals into the mix. 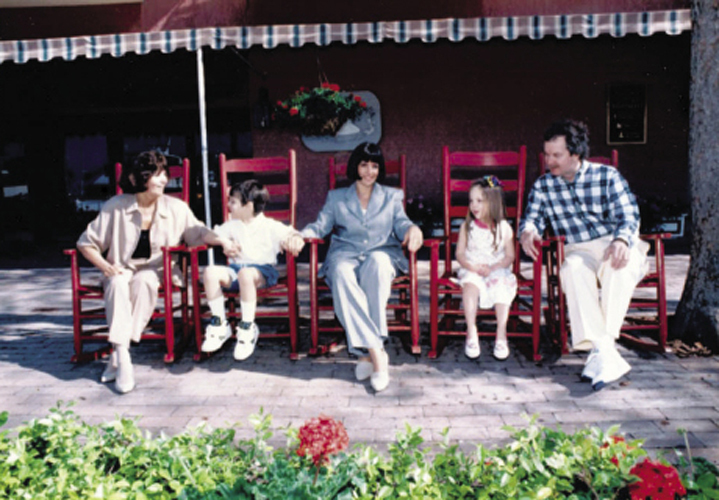 Again, it all goes back to that old-school advertising fundamental, to the backbone of success in any industry or field, to what Millard does so naturally: building and nurturing relationships. 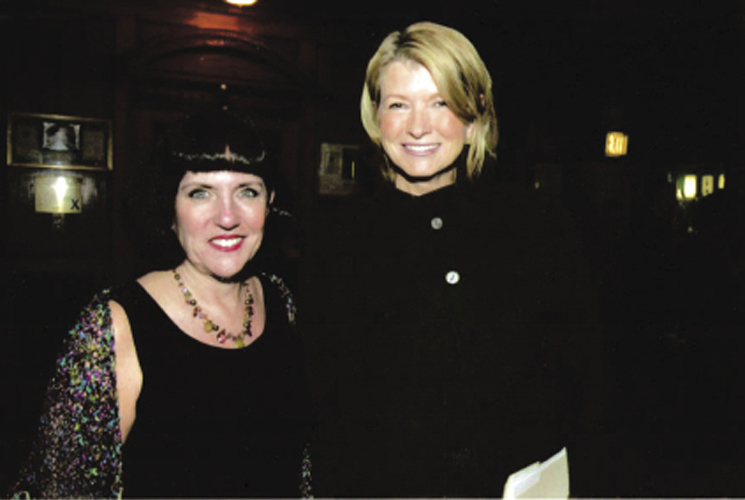 July 2007-April 2009: Co-CEO & president, Media for Martha Stewart Living Omnimedia, Inc.
2001-2007: Chief sales officer, Yahoo! She led the team that drove revenue from $700 million to more than $6 billion in six years and was consistently credited as the number-one sales organization in the media industry.